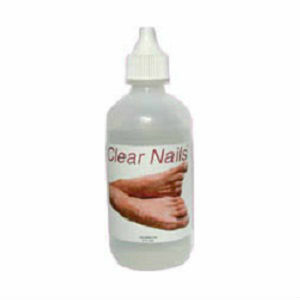 Clear Nails is a product that treats toenail fungus. It claims to turn yellow, hard nails into beautiful, soft, and healthy nails. User testimonials have shown that Clear Nails is effective. Is it worth your time to try? Clear Nails works by making sure the whole nail is cured, and the next growth cycle doesn’t produce more fungus. Because of this, the user must diligently apply Clear Nails for two entire nail growth cycles, each lasting six months! This is a twelve month process, but because of this Clear Nails does produce long term results. Curing nail fungus is a long process, if it is done effectively. The user must apply one drop of Clear Nails to the base of each affected nail twice daily for at least six months, and for best results for, twelve months. Clear Nails does not contain any allergens, and is a product that boasts no effects from use because of its harmless formula. However, Clear Nails is a relatively new product and there is a lack of information on formula or clinical testing. Clear Nails can be bought from the manufacturer 12.95 plus shipping for a four ounce bottle. This price is affordable. Even better, Clear Nails offers a six-month guarantee. If the user doesn’t see improvement in six months, they will get a full refund (not including shipping). This generous guarantee makes Clear Nails competitive. While ClearNails is affordable with a great money back guarantee, the lack of information is worrisome. The lack of product information and clinical trials makes it difficult for users to know what they’re getting into. Jack Stevens	reviewed Clear Nails	on August 5th	 and gave it a rating of 2.5.